Canary Rockfish (Sebastes pinniger). Photo by Tippy Jackson, courtesy of NOAA. In June 2011, NOAA, the SeaDoc Society, and the Washington Department of Fish and Wildlife brought together scientists, managers, and industry professionals to summarize the current state of knowledge of rockfish in the Salish Sea and to provide recommendations for future research. The workshop proceedings include presentations on mapping the seafloor for rockfish habitat, an assessment of the usefulness of conservation areas, and tribal perspectives on rockfish populations and conservation. 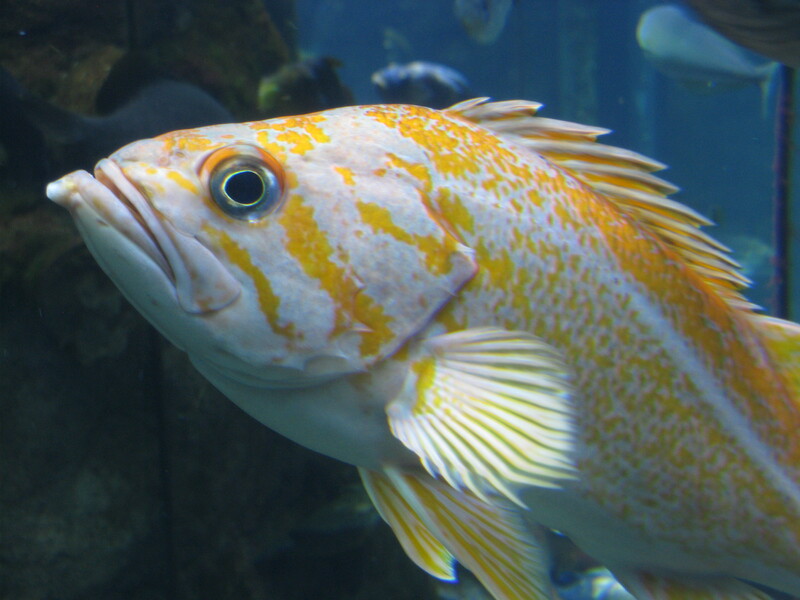 Due to a combination of factors, rockfish populations have been in decline since at least the 1960s. Thirteen species in Puget Sound are listed as species of concern, and three are federally protected under the Endangered Species Act. Limited historical data exists, but commercial, recreational, and tribal fisheries have been harvesting various rockfish species for decades. Between the 1970s and mid-1990s, harvests of bottomfish (such as rockfish) increased, but conservation regulations have recently led to significant reductions in the numbers of fish that are extracted. Stressors on the fish include habitat disruption, hypoxia, and predation, as well as chemical contamination, which is more of a problem in habitats near urban areas. A Puget Sound study also concluded that derelict nets pose a significant threat to rockfish populations, capturing around 1,600 fish per year. Attendees of the workshop discussed the historical legacy of rockfish harvest and conservation in the Salish Sea region. Conservation efforts did not begin in earnest until the late 1980s, and scientists say current strategies must take into account that much of the impact to rockfish populations occurred prior to that time. Researchers investigated the best methods for conducting surveys of rockfish populations, and remotely operated vehicles (ROVs) showed promise as a way of gathering data, particularly when equipped with high quality cameras. View the full workshop report.